Atlanta's social nerve center is on the lookout for crises - and opportunities in the days before the big game. Atlanta braced for snow this week, but after escaping with only a light dusting and rain, Georgia’s capital, the host of Super Bowl LIII, is fully open for business. With kickoff just more than two days away, the Atlanta Super Bowl Committee is vigilant. Crises, after all, don’t just loom on the horizon; they break out on social media. To stave off the possibility of embarrassment by social media avalanche, the Atlanta Super Bowl Committee hired Sparkloft last year to quarterback its Facebook, Instagram, and Twitter accounts through the city’s biggest event of the year. "From a social media perspective, we have a crisis communications plan we’ve put together, and we’re prepared for several different scenarios," says Mandi Cox, account director at Sparkloft. "We’ve categorized them in different tiers, ranging from something as normal as a transportation issue to an actual major crisis." The organization is even keeping staffers up-to-date on the real-world forecast, as well as preparations for social media storms. "There are daily weather briefings," she adds. "We do have a volunteer in the command center who works for The Weather Channel, and we’re also in close communications with all the local organizations." The command center has recruited 50 volunteers who have at least two to three years of social media experience and are involved in the daily block and tackling of social media management. For instance, If an out-of-towner needs directions or is looking for a place to eat, "engagement specialists" with some 850 pre-written responses answer their questions. Using social media marketing platform Spredfast, the official social media vendor, they monitor conversations and report results, Cox says. Meanwhile, "runners" attend events around the city, capturing content, surprising fans with swag, and relaying information to headquarters. Sparkloft has also run paid media around travel and logistics content to head off any negative experiences an attendee might have. It has also been offering local influencers, including LaShawn Wiltz, Erica Key, and Ashley Marshall-Seward, access to the Super Bowl Live and Super Bowl Experience events to generate buzz. "We’re looking for opportunities to enhance their experiences and make sure they have a positive experience in Atlanta," Cox says. On a day-to-day basis, Sparkloft’s team, which typically includes Cox and 18 staffers, has two dedicated project managers on-site, as well as volunteer Jennifer Watson, a meteorologist and social media specialist. Sparkloft is using Crimson Hexagon, a social intelligence company that merged with Brandwatch late last year, to identify notable conversations on social media. With the stakes as high as the Super Bowl, the notion that social media is an easy platform to handle is over, says Sparkloft CEO Martin Stoll. Since Sparkloft started working on Atlanta’s account in Q3 2018, the social media team has been preparing for the game. "When you look at the technology deployed in the backend, especially when you work with big brands like the NFL, and there’s such a short timeframe, where [you have] 10 days that absolutely have to be perfect, there’s a lot of preparation that goes into that," Stoll says. Atlanta isn’t just hosting football fans at the Mercedes-Benz stadium. It’s also trying to boost its profile to out-of-state and international corporations. "We’re acutely focused on economic development, and not just about attracting companies, but also talent," says Deisha Barnett, chief brand and communications officer of Metro Atlanta Chamber. "Our neighborhoods, our culture, and the vibe you find in Atlanta are really important when it comes to talent." 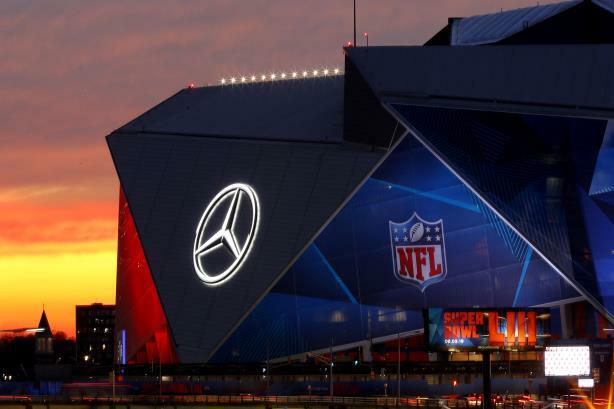 Nineteen years have passed since Atlanta last hosted the NFL’s biggest game, so when the New England Patriots and Los Angeles Rams take to the field on Sunday, Brett Daniels, COO of the host committee, says he wants to "show the world a new Atlanta." The city’s government has prioritized sustainability and urban renewal in its bid to attract corporations, and it has also taken steps to revitalize its downtown, to transform midtown Atlanta into a commercial center with a bustling arts scene, and to establish its reputation as a tech hub, Daniels explains. "It’s a platform to show a young, vibrant city with an entrepreneurial spirit," he adds. Stoll adds that Atlanta often surprises people with its rich history and culture. The host committee, largely made up of Metro Chamber members, recruited 10,000 local residents as volunteers to serve as "hosts" to give directions to out-of-towners and welcome them to their city. "One of the important elements is the whole idea of ‘southern hospitality.’ When you speak to people in Atlanta, that comes through, and there’s the whole idea of extending that through the social space," Stoll says of his company’s social media work. "We want to make sure they feel welcome in a genuine way." The city has also taken its campaign hundreds of miles away from Atlanta. Last week, a delegation of bold-faced names flew to New York City to ring the opening bell of the New York Stock Exchange. The delegation included Atlanta Falcons owner Arthur Blank, NFL Commissioner Roger Goodell, Georgia Governor Brian Kemp, Atlanta Mayor Keisha Lance Bottoms, and more than 100 Atlanta-based CEOs. Super Bowl LIII will take place amid heightened scrutiny of public spending by cities to attract events such as the Super Bowl or companies such as Amazon. Atlanta, whose Mercedes-Benz Stadium cost $1.5 billion, also unsuccessfully competed for Amazon’s HQ2, which was often decried as a "‘Bachelor’-like pageant" or "wasteful." Atlanta offered to develop "the gulch," a historically unused stretch of land, into a mini-city with incentives north of $1 billion. However, Daniels says that he, the chamber, and the host committee are "confident" they will see a return on their investment. The hotels are full, the restaurants are packed, and money is coming to local businesses, he says. "I completely understand that," Daniels says of worries over public spending. "We feel confident in the economic impact here, which we estimate to be $185 million to $190 million, which is a very conservative direct spend. It’s not one of those over-inflated numbers we can’t justify." This story was updated on February 1 to correct Cox's title and to correct the number of social media responses prepared for Atlanta visitors.